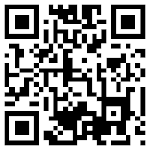 strength and flexibility among users. The Power Balance band has been spotted on the famous wrists of David Beckham and Cristiano Ronaldo. But a BBC Wales investigation using scientific tests found it made no difference to athletes' ability. 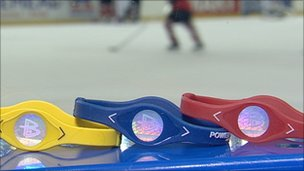 Power Balance say they do not make any medical or scientific claims about their products. has seen them worn by some top sporting stars. And the results showed there was no difference between wearing a dummy band or wearing the Power Balance band. The makers of Power Balance say millions of people in more than 30 countries are enjoying its benefits. to take their tests to prove it. Cardiff City strikers Jay Bothroyd and Michael Chopra also appear on Power Balance's Facebook page, having trialled the product. Ice hockey team the Cardiff Devils have also put their faith in the bands and earlier this year announced a partnership with the company. Head of bio-mechanics at Uwic, Dr Gareth Irwin, agreed to carry out the tests using 10 randomly selected athletes. They were asked to do four simple exercises with and without the Power Balance band. The tests did not replicate the tests Power Balance had on their website but were standard tests for the sports industry. Those taking part completed the exercises wearing the Power Balance band and separately with the dummy substitute. All were blindfolded when the band was placed on their wrist. band. We tested it statistically as well and found that there wasn't a statistical difference. "There may be some changes in performance because of the placebo effect, which is a strong tool. ""The physiology and the biology of the performer won't have changed by putting this band on at all. His views were shared by Dr Andrew Dearden of the British Medical Association Wales, who criticised the bands as "pseudo science". Power Balance said it had removed the promotional video as part of ongoing changes to its UK website. The company is also in the process of shutting down all non-official Power Balance sites to limit the amount of incorrect information in circulation. why they offer a full refund to anyone who is not completely satisfied. They said the teams and individuals who advocate the band in the UK were given their products for free and were not paid to wear it. In the US they have paid some athletes for rights to use their images. The Cardiff Blues team said it had not received payment but that some of its players felt they have benefited from wearing the wristbands. Cardiff City did not respond.